OzRoamer Car of the Year (COTY) Awards are now in their eigth year and have proved to be an outstanding success with buyers in helping them make educated buying decisions. They are deliberately oriented at having a complete reader and consumer focus, by breaking down the categories into those that best represent their buying decisions and parameters. 348 pages of reviews of all 70 nominees and winners in the 12 categories for 2018 COTY. The OzRoamer COTY Awards are without doubt the most independent and comprehensive 4WD & AWD SUV awards in Australia. OzRoamer’s annual Car of the Year awards, widely regarded as the industry’s most comprehensive review of the 4WD and AWD SUV’s in the Australian market, have been announced. 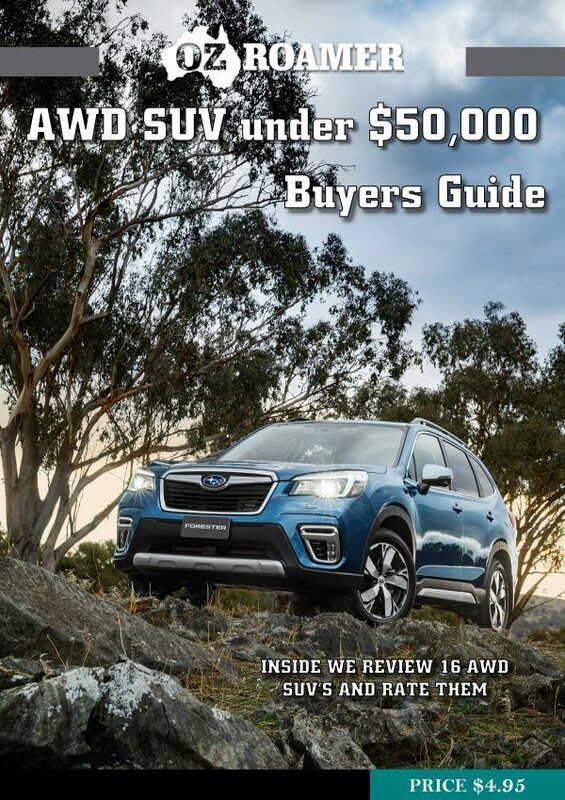 Covering seventy vehicles in twelve categories, price ranges of sub-$40,000 to in excess of $100,000 and nearly every manufacturer, the complete buyers guide is known for being specifically aimed at helping consumers make educated buying decisions. Editor in Chief, Rob Fraser, explains: “By breaking down the categories into those that best represent consumers buying decisions and parameters, the buyers guide enables consumers to compare vehicles in a logical fashion and really get a feel for each individual offering in their chosen segment. “All the vehicles nominated in these awards are strong contenders and hold individual merit, however the winners highlight class-leading attributes and those that offer the coveted combination of outstanding design, functionality, performance and value for money. Now in its eighth year, the awards continue to receive recognition from within the industry, individual consumers and motoring organisations.